This is Chris writing a guest blog... I don't use mine enough to really post on there, and Becky has a much more captive audience than mine does. So guess what? You get to be the lucky ones to read my thoughts for tonight. There are few moments in life that really serve as difference makers. I'm constantly fascinated by the thought, "I wonder if today I will encounter something that I will never forget." That thought runs through my mind often. So what I'd like to do is post a few difference makers that I've had in my life in hopes of challenging you and giving you insight into a male perspective so you can either understand your husbands better or understand men in general better. I don't claim to be the typical man... but I do know from experience that some of the things that get my mind working in overdrive are the very same things that have impacted other guys that I've been privileged to know. In my opinion, there is a book that every guy should read. Every girl has already read it... but the story from the male's perspective in the story is so much more powerful (in my mind) than the story of redemption. 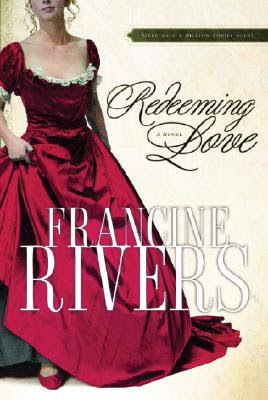 The book is Redeeming Love by Francine Rivers. It's the story of Hosea placed in modern times (1800s probably). The story of Michael Hosea loving his wife... at first glance before he knew anything about her, talking to her instead of taking advantage of her as a prostitute, providing for her selflessly, teaching her how to be a farmer's wife, pursuing her in marriage, refusing to let her run away and finally getting out of the Lord's way so He could fully have her heart instead of him. It's the very definition of manhood I wished we saw more in our leaders. It's my hope that Christian husbands would be characterized by this kind of love and our definition of leaders moves from athletes and politicians to husbands and fathers. Next is the movie Ice Castles. If you haven't figured it out by now, action movies don't really do much for me. Call me crazy, but I don't normally find myself inside of some plot to save the world or in the middle of a jungle with a machine gun strapped on my body. Therefore, I don't see much point in learning their strategies. In this movie, watch the relationship between Nick (hockey boyfriend) and Lexy (skater). I won't tell you what the movie is about... but talk about unconditional love, constant belief and an ability to be flat out honest that finally makes a person feel safe instead of scared. This movie inspired me... I had to hold Becky for a while after I watched it. Last are some sermons from Matt Chandler & Mark Driscoll. I've always been drawn to sermons, so much so I usually can't wait for the worship music to stop so I can listen to the pastor's sermon. I have this insatiable desire to learn and while music does teach me, I feel like sermons (at least for me) have been far more impactful. I'll post the links to 3 sermons in particular that I'll always come back to as the years of our marriage go on. They challenge me to be a godly man, not just a man who loves his wife well (which there is a huge difference). They teach me what love should look like and encourage me by letting me know that there are couples out there actively trying to live this out. Things like this have been tools in God's hands to teach me and change me. Are you afraid to be changed or do you challenge yourself in hopes that you will be changed? How you answer that question will help determine the course of your life.